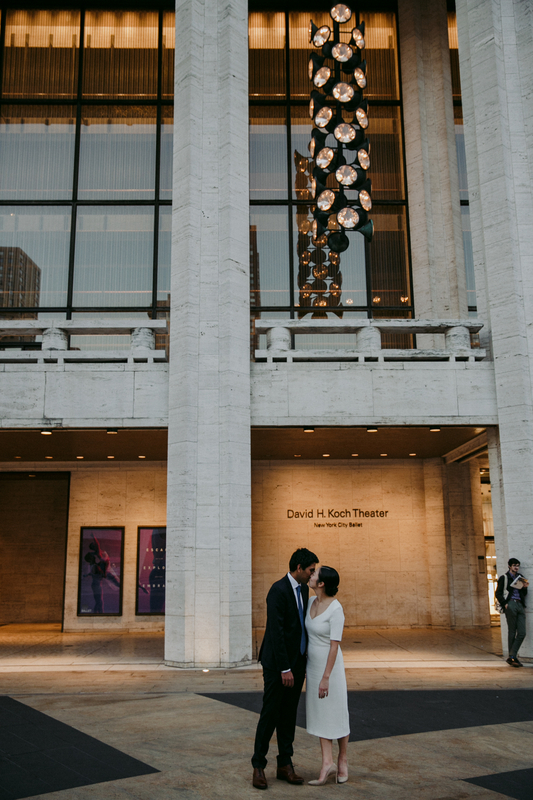 October 4 2017 | Caitlin and Subodh eloped in the beautiful city of New York - we traveled to the Guggenheim, The Lincoln Center, The East Village and City Hall. I spent the entire day with them - it was just the three of us. Those are some of my favorite weddings. We had the entire roof of the Standard East Village to ourselves - Caitlin is a former ballerina - and I watched them dance until the sun set. We ended our night to a completely empty Lincoln Center where all you could hear were our tip toes and quiet whispers. Because she had danced there we were able to enter before a show - it was quite magical. I want to write about these moments because they are so special I never want to forget them.